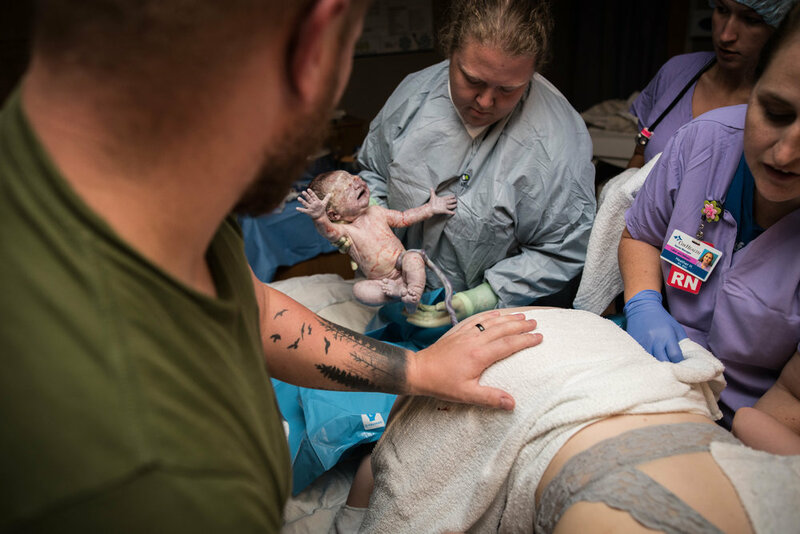 Michelle’s birth story is a unique one, as she works as a labor and delivery nurse in the hospital that she delivered in. While she began her prenatal care with a different hospital, it was about half way through her pregnancy that she realized there were some disagreements about her prenatal care between her and her provider. Trusting her gut, she transferred care to her workplace. 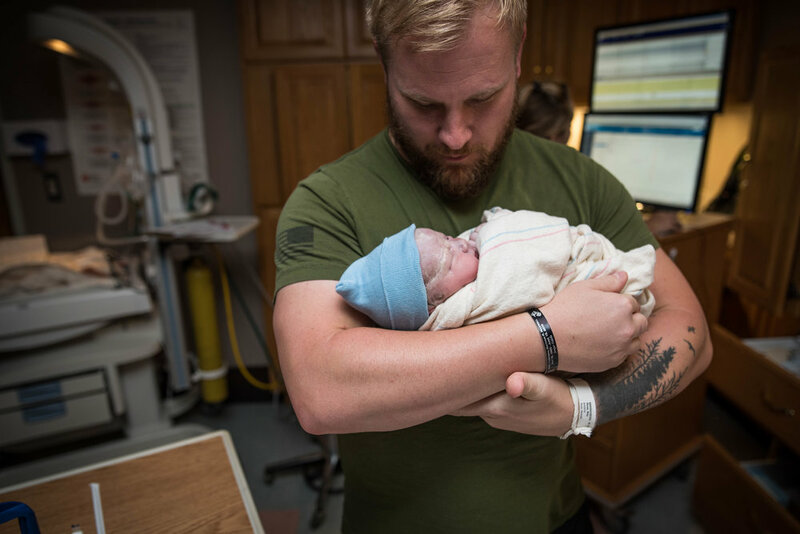 Knowing the team on the L&D floor, she was very open with her OB and nurses about the things she wanted for her birth: unmedicated, low intervention, little to no cervical checks, and immediate skin-to-skin with her baby, to name a few. What’s more, she wanted to give birth in the water if at all possible. In spite of how uncommon this is, Michelle’s OB and colleague said this could be possible so long as there were no health complications. Michelle was so thrilled to head into her labor with support, options, and a team of qualified individuals whom she trusted. 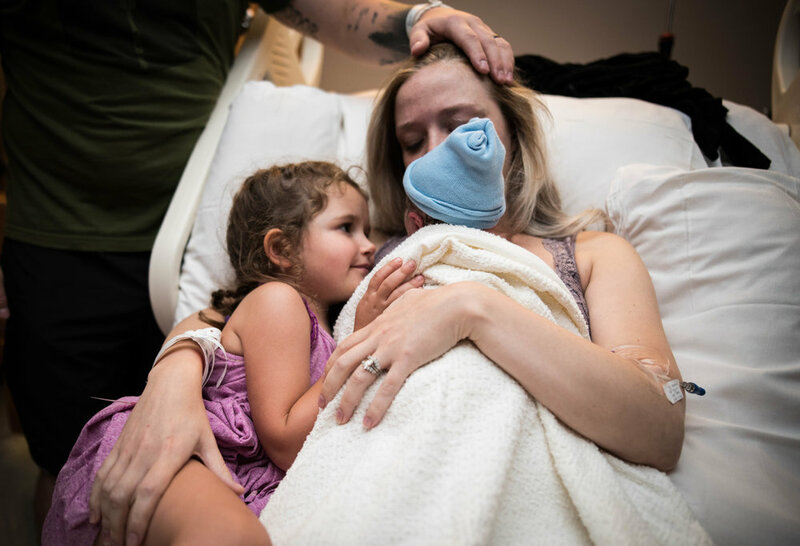 When she arrived at the hospital, she was 37 weeks and a day. She was dilated to a 5 and had a bulging bag of waters, meaning her waters hadn’t ruptured, but were likely going to soon. Contractions were coming regularly, and getting stronger by the minute. Her husband Travis offered counter support while she rocked on the peanut ball, which was exactly what she needed to keep going. She was able to get into the tub thereafter and work through contractions there, too. After abut 45 minutes in the tub, her OB arrived and broke her bag of waters to speed the natural process along. And it was the perfect thing to take her body from active labor to transition. In only 30 minutes, Michelle went from 6cm to fully dilated. She told everyone that she felt like she needed to bare down, that she needed to push. 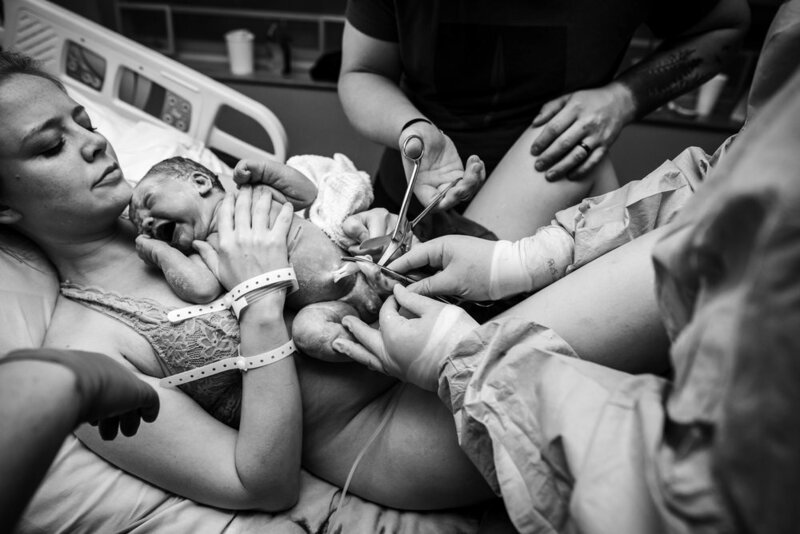 She got onto all fours, pushed through 3 contractions, where her beautiful son was born and brought into her arms. It was such a fast delivery that he came out with his eyes open, ready to greet the world! 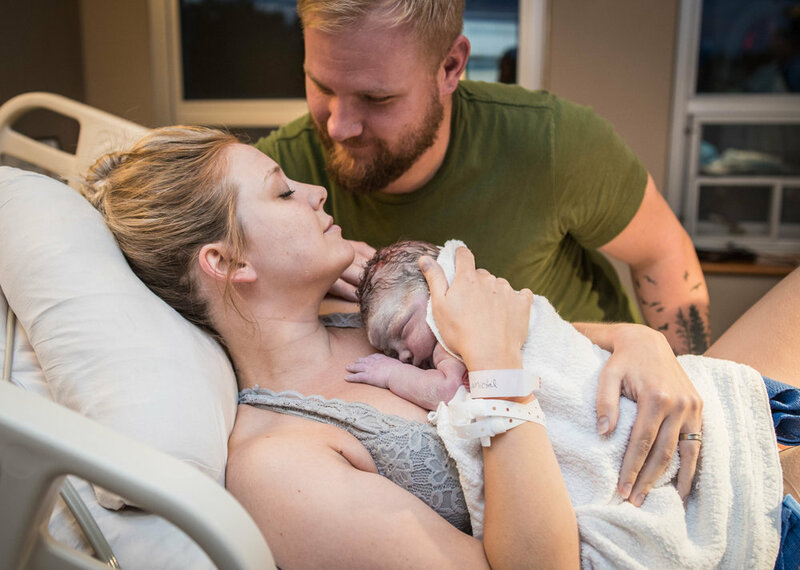 She may not have been in the tub like she had imagined, but it was the perfect way for her body to birth her healthy, 8 pound baby. In the moments following, the nurses were able to carry out the newborn exam with baby right on her chest. Michelle was able to nurse him and then introduce him to his big sister! It was pure magic. 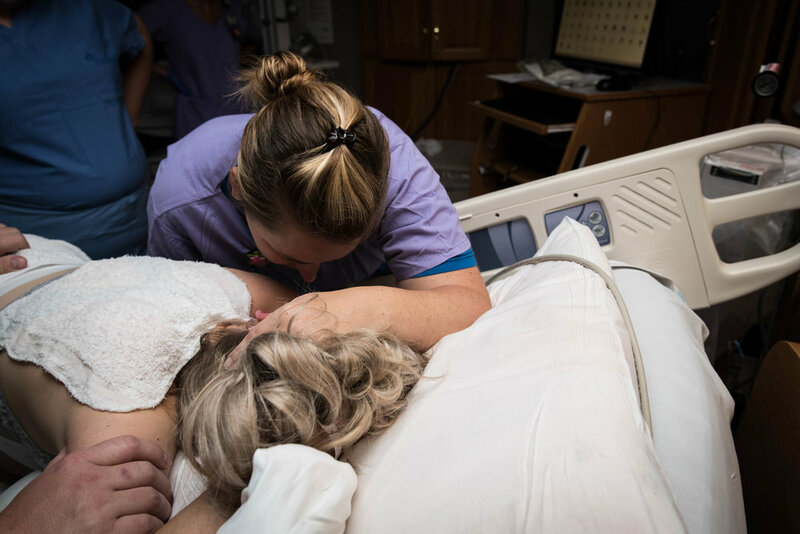 When Momma’s are given options for their birth and supported by a team of people they can trust, they're empowered as they walk into Motherhood. And even when things don't go according to plan, they can trust their instincts and providers that they're taken care of and capable.